April was jam packed with events and now we're preparing for an amazing summer. Eager to start a career in the innovative and fast paced fashion tech industry? Code First: Girls along with our hosts ASOS are bringing together a panel of leading fashion and retail tech professionals from across the industry to give an insight into the challenges of entering this exciting fast advancing field. You'll get to hear their expert advice, get insider industry knowledge and have the chance to quiz the panel on what they think it takes to succeed in the competitive industry. Have an amazing idea but just haven't got around to building it? CF: G have the perfect solution! Come together with other members of the community keen to build over our three week mentored bootcamp this summer. Join us for two evenings a week over three weeks to build your projects with instructors on hand to debug your code. Get support figuring out "why you got a syntax error" or "how to vertical centre a div for all browsers" (languages supported will include HTML/CSS, Ruby and Python). Not only this but you'll get the opportunity to meet other like-minded women who are also taking the leap and getting building, we'll event have some inspirational speakers dropping in to keep you motivated. The next in our series of "Hack Your Career" talks will be with the amazing fast growing FinTech company GoCardless! This will be a great opportunity to meet an impressive team of talented tech bods who work at one of the UK's most successful startups, ranging from data analysts and business developers to product managers and software engineers. Earlier this month 18 of our amazing CF: G's spent the weekend learning about API incorporation and set off to build the next CityMapper. In just one day they managed to create some fantastic websites spanning from canine dating sites to business trip networking sites. A big thanks to Ben who designed the material, all the instructors who supported and the CF: G attendees. We'll hopefully be running more similar weekends in the future. This month also saw the CF: G takeover of the Twitter offices as part of their #FridayforGood. 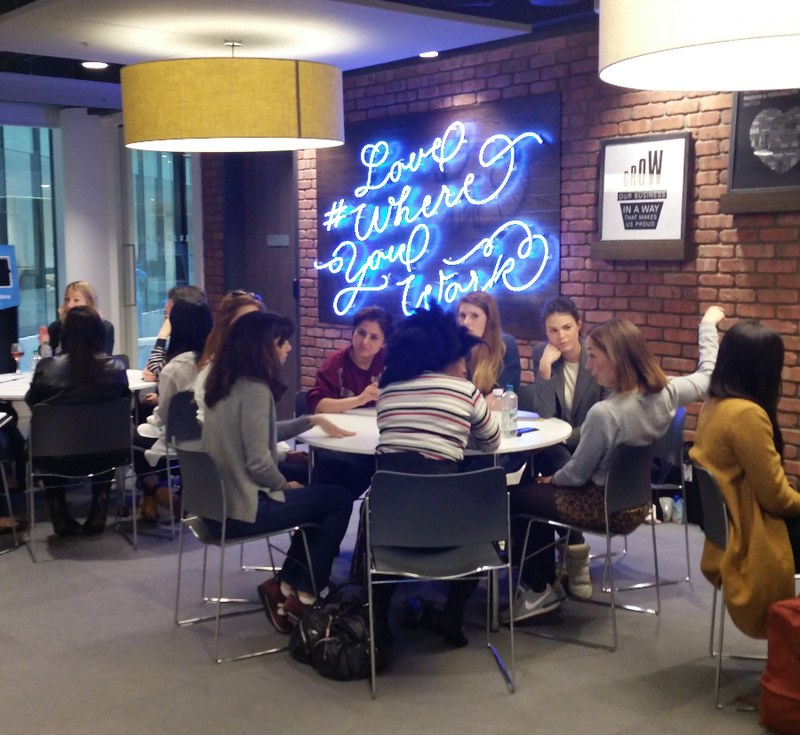 70 Code First: Girls got the opportunity to hear from some of the impressive twitter bods about why they love working at the global tech company, how they got there and ask them questions about kick starting their tech careers. 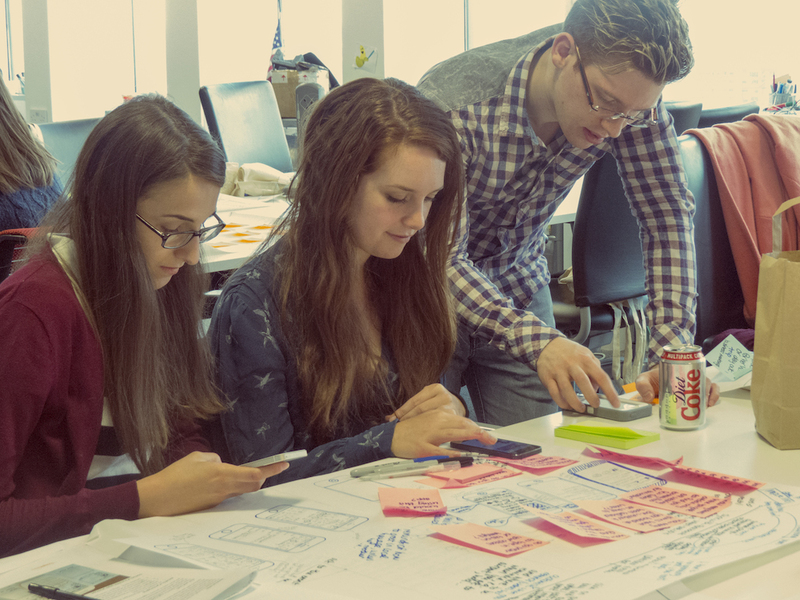 We did our first UX masterclass in Manchester with the fantastic ThoughtWorks team. The session was lead by one of our great instructors Elizabeth Chesters. Over the session CF:G's went through designing a great user experience; creating personas, empathy mapping, user journeys, prototypes and finally user testing. It was an amazing day we're hoping to run more Manchester events soon! 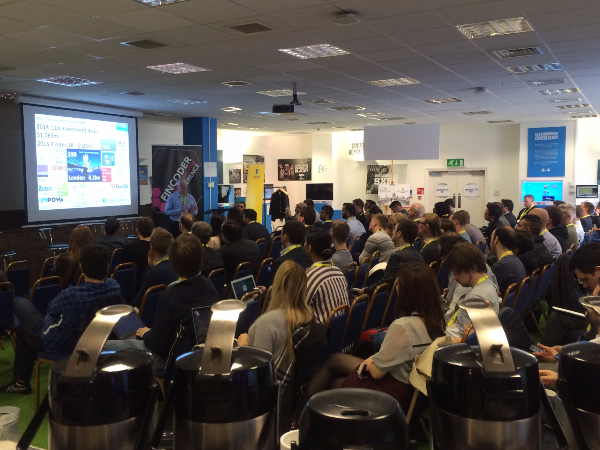 Last month we were invited as speakers and guest to Fincoder - London's First Fintech Developer Conference. Our CEO Amali spoke on how to recruit more diverse tech talent. The guests were our four competition winners from last month, who got the opportunity to attend this amazing conference. You can read their blogs about the day here. We had a whale of a time at Digital Shoreditch last week. 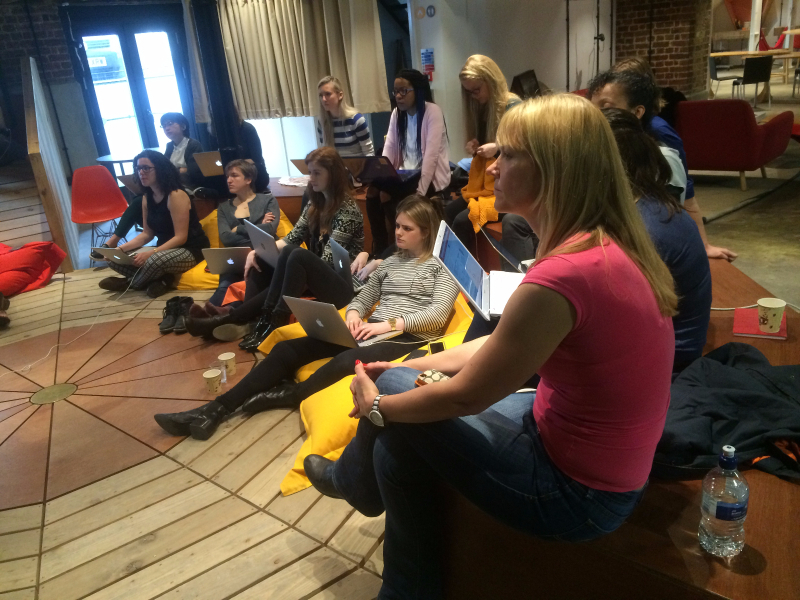 On Make day we ran a taster session to web development lead by two of our amazing instructors Rosie and Diana. 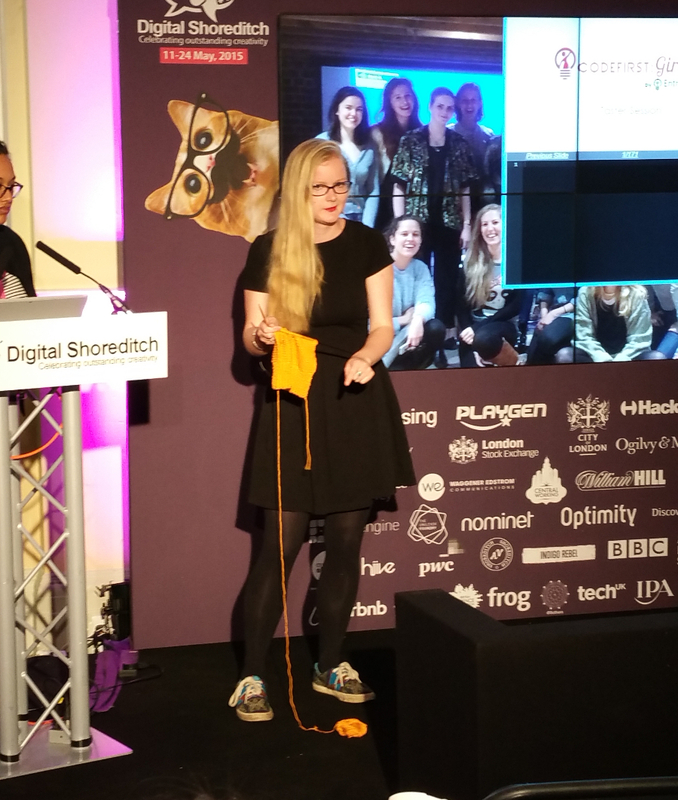 Rosie combined the two loves of her life knitting and programming to give a funny and helpful explanation of what coding is to the fledgling coders. Thanks so much to the both of you for running such a great session. We had our very first EF/CF:G mixer last month! 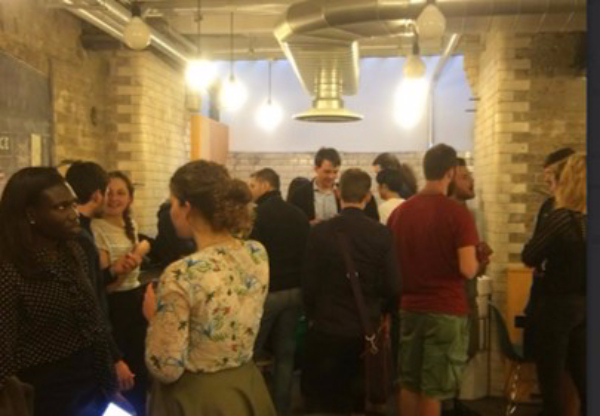 It was a fantastic opportunity for the two cohorts to meet and find out a bit more about each other and the fantastic projects they are involved in. We've been invited by a leading financial services company to attend their start-ups showcase and share more about CF: G with their senior leaders. Amali and Diana (UCL Assistant Instructor) will be giving a presentation at the event and we are looking for one more CF: G to represent us. It will be a fantastic opportunity to meet senior members the leading FinTech business.No presenting required (just to chat about yourself and CF: G). If you've participated in a CF: G course and are comfortable speaking to people about Code First: Girls please get in touch. As always we're more than happy to provide a reference for anyone who joins us. The Smart Upstart Club is a forum for aspiring entrepreneurs. They are launching on June 5th with an event for millennials, Gen Y, and anyone who wants advice on starting or growing their own business. There will be an afternoon workshop providing relevant, realistic and honest advice with 15 entrepreneurs (including our very own Amali) presenting a TED-style talk followed by an opportunity to quiz the panel. Get your £10 tickets for this amazing event here. We're excited to announce that we will be working with MONSTER the world leading recruitment company on a project later this year. Monster have launched their campaign "Girls in Coding" which will run some great initiatives and events over the next year to get more young women coding. Our CEO Amali features in their campaign video and joined the panel for the launch of the campaign. We will be running a joint event as part of London Technology Week - watch out for details! A fabulous offer this month we've been given 4 pairs of tickets to attend Web We Want Festival at Southbank on the 30th & 31st May. Speakers at the weekend will include inventor of the World Wide Web Tim Berners-Lee, Baroness Martha Lane Fox, as well as our very own CEO Amali de Alwis. Which "Web We Want Festival" speaker runs Geek Gurl Diaries and works at the Raspberry Pi Foundation? Competition closes on 23rd May at midday please email entries to clarice@codefirstgirls.org.uk with subject line "May Competition"
If you a lucky winner of tickets please send your name your email and your guests name and email. Soapbox (an EF4 company) is a sharing and discovery video platform for beauty and fashion lovers. They are looking for two interns to help support their marketing operations. If you're looking to gain some invaluable experience with an early-stage startup please send your application to jobs@letssoapbox.com, or message me for an intro to the founder. SOMA Analytics is an investor-backed and award-winning startup that develops pioneering mobile health technology. Creating the world’s first mobile-based mental resilience program, combining aspects from psychology and medicine with machine learning and hardware. Clotho is an online sustainable fashion destination for young women. They run a clothing exchange service that allows women to trade in their unwanted outfits and exchange them for other preloved outfits. They are looking for a high energy, highly organised, highly motivated person to oversee all of the exchange operations and logistics, and scale them up. The Anthemis Fellowship is an industry initiative which aims to nurture the next generation of financial services innovation leaders. It is a one-year fellowship for the brightest disruptors to gain context, training, experience and mentorship while developing their own unique contribution to changing the financial services industry. SyncSpot is looking for full stack or Web developer for a 3-6 month paid internship (which can become a permanent role). They are an Ad-tech startup with impressive investors (e.g. CEO of Havas), in an exciting area (bands & brands, their last campaign was with alt-J) and with the best perks (i.e. backstage passes).